Cloud technology is working to help law firms ease their document management, corporate accounting and talent management responsibilities. 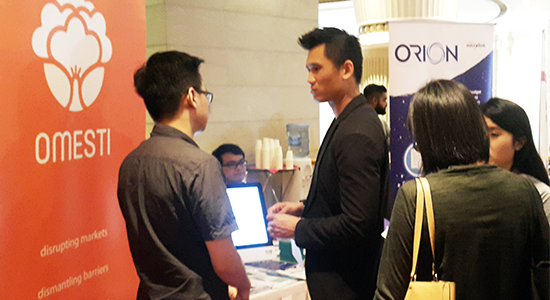 At the recent Malaysian Bar Council AGM, #Omesti and sister company #Microlink teamed up to showcase a range of as-a-service solutions to the 500+ members of the legal fraternity present. #ORION, #Account365 and #HCMCloud, which are available on a per user subscription basis, are part of the Group’s portfolio of cloud-based solutions designed to help businesses operate seamlessly. “ORION provides a highly secure, smart environment in which to store, search, retrieve and share critical documents. It comes without the costs and inherent risks of conventional warehousing and storage options,” says Elwin Lim, of Microlink’s Enterprise Solutions business. It is particularly relevant for businesses that generate large volumes of bulk documents such as law firms and government departments. A key advantage is that critical documentation is no longer at risk from a range of physical threats including theft, damage or destruction by fire, flood or vermin and general deterioration. “The arduous process, not to mention cost, of cataloguing, packing and transporting documents to an offsite warehouse is not required. Time-consuming searches for key documents that might be inadequately recorded and filed are also eliminated,” says Mr Lim.